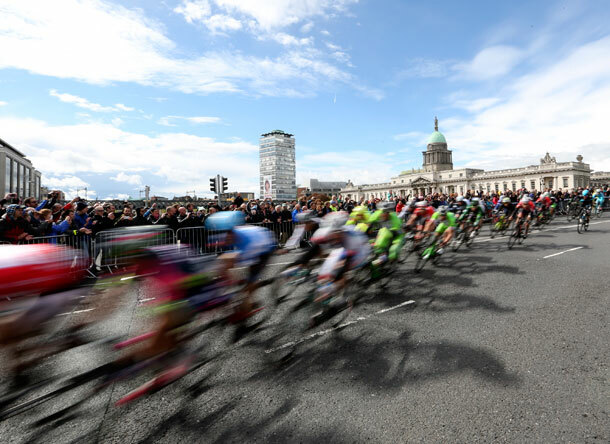 FEW SPECTACLES of sporting pageantry have had such a colourful and palpable effect on public life in Ireland as the Giro d’Italia. The world’s second-largest cycling event was a stunning success from start to finish. And what a finish it was. Marcel Kittel, the 26-year-old Giant-Shimano rider from Germany stole the show as he pedalled past several other riders in the last 100m to cross the finishing line first in Dublin. After racing for 187km, through Armagh and down Ireland’s eastern seaboard, the third stage of Giro d’Italia was won by the width of a wheel. Exhilarated and exhausted after his spirited sprint, Kittel dismounted his cycle and collapsed on the road. Here we were witnessing the mental and physical strength required to compete in sport at the highest level. A devotion to his endeavour so absolute that Kittel had completely emptied his reserves to win the race. More importantly, this was his second win in a row. 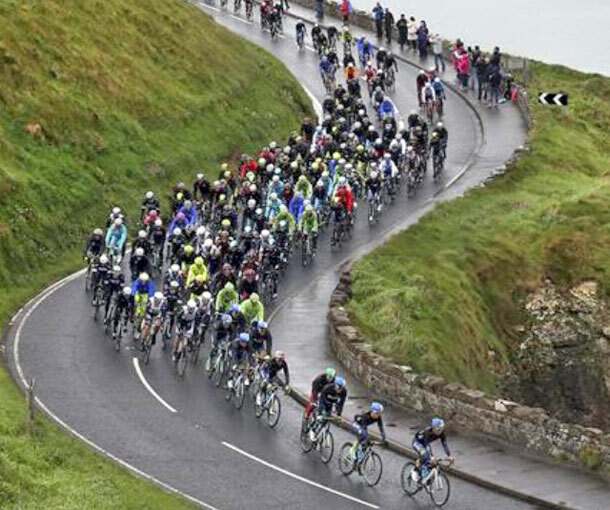 The German cyclist had won Stage 2 the previous day as it snaked around the beautiful north Antrim coastline before returning to the finish in Ireland’s second city. Unfortunately for Kittel, after his heroic double victory in Ireland, he had to withdraw from the Giro d’Italia at the following stage due to an illness. One of Ireland’s own hopes, Dan Martin, had to bow out beforehand. With the spring showers making the surface slippery, Martin’s bicycle went from under him as the wheel touched a metal manhole cover on the road back from Stormont. 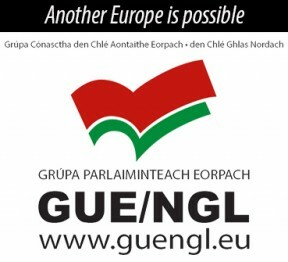 The path to power-sharing in the Six Counties is a hazardous one, as we all know! It wasn’t the only fall during the three-day event. Testifying to the risk involved in this endurance sport, several major pile-ups happened as the race continued. Cyclists know the hazards involved. That’s why the resilience and resolve of top cyclists is something special. Take cycling veteran 37-year-old Australian Cadel Evans, for example. He was ready for a rough ride in Ireland, commenting beforehand on the wind, rain and narrow roads: “Racing in Ireland is new to most of us and we don’t know how hard it will be.” Undeterred by the unknown, Evans was wearing the race leader’s pink jersey by Stage 9 of the Giro d’Italia. Irish cyclists Nicholas Roche and Phillip Deignan also stayed on their bikes although both were well off the pace. 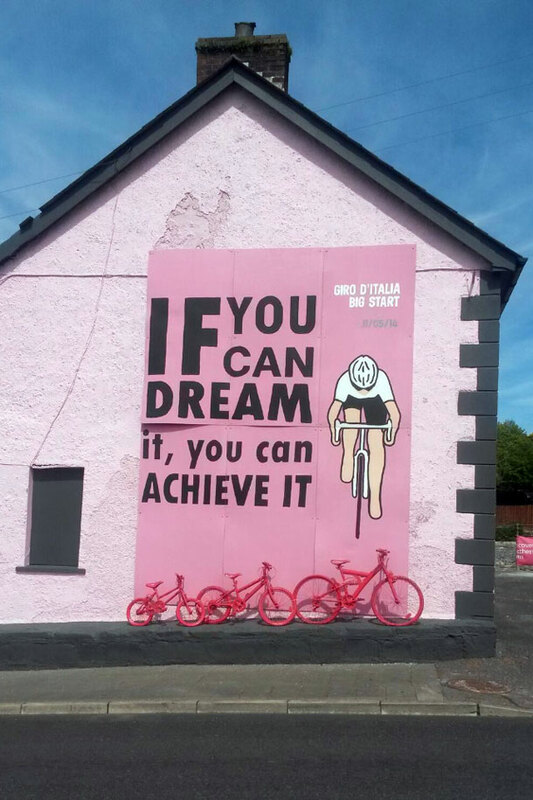 What might the legacy of the Giro d’Italia be in Ireland? £4.2million of public money was spent on hosting the Giro d’Italia. 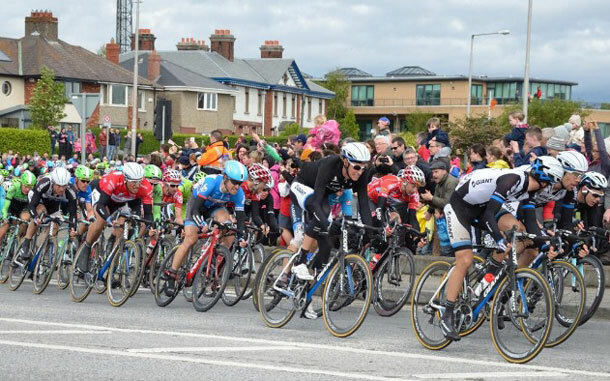 One report estimated that this would generate £2.5million from visitors to Ireland for the start of the Giro. A further £10million of publicity for tourism is estimated to accrue from the event. The nearest economic comparison is the forthcoming stage of the Tour de France which starts this summer in Yorkshire, England. A budget of £27million has been set aside for hosting that event although some say the actual cost will be closer to £30million. So the Giro appears to have been good value for money. But surely there is more to any great sporting event than who makes the podium and who makes the profit? One of the positive effects of Giro d’Italia must be potential to improve attitudes towards physical activity in general and cycling in particular. Perhaps the best template for this is Holland. The population there is about three times the size of Ireland (16.73million). Yet it has been reported that there are about 13million bikes — that’s almost one per person. The Dutch Government spends between £10 and £20 per head of population on cycling. This compares with figures for the Six Counties where average annual cycling spend per head of population in the last five year has been a pitiful 58pence, according to NIGreenways. So if the Giro is to have more than a superficial effect on perceptions abroad of Ireland, infrastructural investment will be needed to support cyclists. The proposed new velodrome at Abbottstown, is a welcome start, but more mainstream support is needed.